Welcome to the Howard University School of Law. New and continuing students should check this website regularly because it will be used frequently to communicate with you regarding announcements, helpful advice, scheduling matters, law school requirements, and other important information. This is an exciting time to be a student, professor, alumnus, or staff member of the Law School. The new, state of the art Law Library is now open to serve you and offers unparalleled research and learning opportunities. We also have remodeled and smart wired several of our classrooms to incorporate emerging information technologies and to exploit the potential of the Internet. Additionally, every member of the faculty now has his or her own website which enhances the quality of the learning experience by making it even easier for students and faculty to communicate outside the classroom. In virtually every way, this law school is using technology to continue its tradition of providing 'Leadership for America and the Global Community'. Of course some things here will never change. The faculty and administration of the Howard University School of Law remain as committed as ever to providing its students with the finest legal education available and to preparing the next generation of leaders. Led by a visionary dean we have an exceptionally talented faculty and student body and thousands of alumni who are already making significant contributions to the legal profession and to their communities all across the nation. I invite you to visit us often through the Internet and in person if you can. Thanks for visiting and welcome to the Howard University School of Law. Want more info about Howard University School of Law? Get free advice from education experts and Noodle community members. 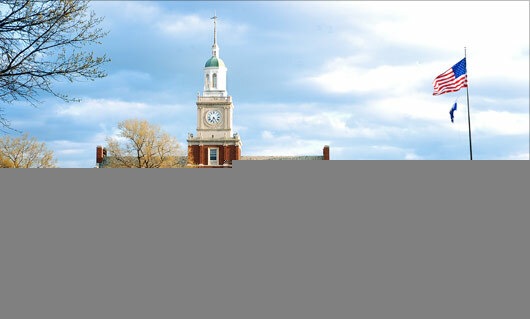 Does the Howard University School of Law have a strong employment law program?